Lilly Lawrence Benallou and daughter Amber arrive in Glenwood Springs on Monday. The mother of the teen who was gravely injured in a fall last week from a balcony at the Hotel Colorado doesn’t know how the incident occurred, she said by Facebook message. “I still don’t know how it happened,” wrote Lily Lawrence Benallou, whose 16-year-old daughter Amber underwent a six-hour surgery Monday in Denver, the girl’s sixth surgery since the incident. 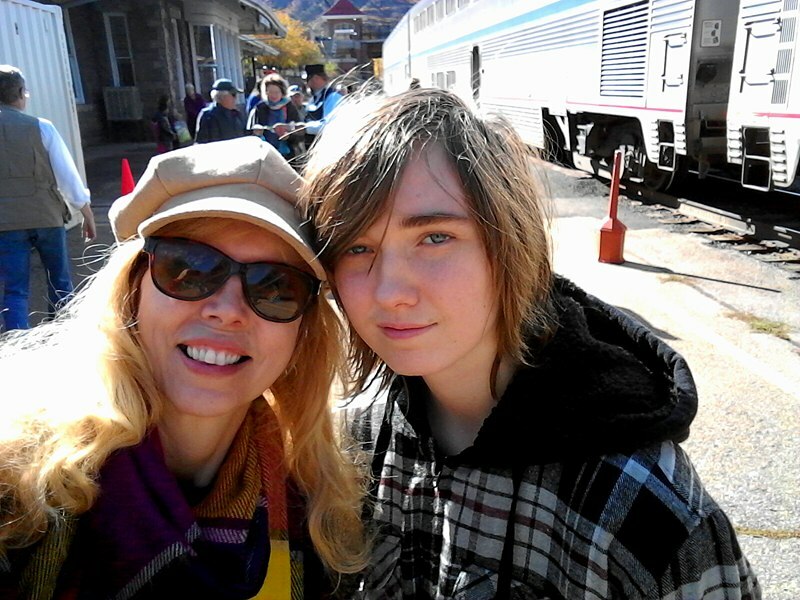 The Montrose residents had taken Amtrak’s California Zephyr to Glenwood Springs on Oct. 9 and were staying at the historic hotel for a leaf peeping getaway. “We were having an awesome time, right up to within a moment of it happening,” Benallou said in her messages to the Post Independent. “She only just stepped out on the balcony so it would have had to been within one minute of her stepping out though,” Benallou said. Friends of the Benallous have created a fundraising site to assist with medical bills. Amber Benallou has defied doctors’ expectations since the fall. Suffering serious internal injuries and broken bones from head to toe, her mother was told it was unlikely the girl would live 24 hours. After four surgeries, she regained consciousness Saturday and, according to a post by her mother on the Montrose Message Board Facebook group, appeared at times to be responsive to doctors. She then had to have a tooth removed from a lung on Sunday and had developed an infection caused by pneumonia. The girl remains in critical condition.